First post in a long while, but I couldn't miss this. The Boston Globe has a nice write-up of the Boston Public Library's "We are One" exhibition that features 4 watercolors painted by Lt. Richard Williams of the British Army during the Siege of Boston. One of the paintings shows Fort Hill, including the meeting house (First Church in Eliot Square) and "Rebel Lines." The website has a zoomable version of the painting, but you should really go down to the BPL to check it out for yourself if you can. A screen grab of the Roxbury portion of the watercolor series. #6 is the First Church in Eliot Square, and #7 is the "Rebel Lines," showing the upper and lower forts (visible only as a continuous set of walls) that guarded the road to Cambridge and Dedham. Featuring 60 maps and 40 prints, paintings and objects, this major gallery exhibition traces the American story from the French and Indian War to the creation of a new national government and the founding of Washington, D.C. as its home. Organized by the Norman B. Leventhal Map Center, We Are One features treasures from the Boston Public Library, the British Library, Library of Congress, and others. Highlights include rare and historically significant items that have not been previously exhibited. Visit the exhibition web pageto view an online exhibition, browse Revolutionary War era maps, and explore related resources. Exhibition Tours: Thursdays and Saturdays at 2 p.m. Free tours of the We Are One exhibition are offered twice weekly by volunteer tour guides (through October 15th). No reservation required for parties smaller than 8 people. A smart phone tour of the exhibition is available at www.bpl.org/mobiletours. Clear your calendar and join the Unitarian Universalist Urban Ministry for a special afternoon at the historic First Church of Roxbury in John Eliot Square (10 Putnam Street). The program presents planning underway for an extensive rehabilitation to preserve the 1804 structure, Boston's oldest frame church and transform it into an active center of civic and cultural life in Roxbury. Special guest speaker is Rev. F. Washington Jarvis, Roxbury Latin School Headmaster Emeritus, who will speak on the rich history of the congregation that first gathered there in 1632, helped establish Harvard College in 1636, and founded Roxbury Latin School in 1645. Preservation expert and former HBI board member Andrea Gilmore of Building Conservation Associates, will discuss the larger historical context and the social and cultural importance of Meetinghouse structures in New England town life. Architect Don Mills of Mills Whitaker Architects, will discuss some of the results of his recent assessment of the building and the preservation opportunities presented by this elegant and well-preserved structure. A festive reception will follow in Putnam Chapel, immediately adjacent to the Meetinghouse. Everyone is welcome. For more information about the event, please contact Annie Stubbs at astubbs@uuum.org or 617.318.6010 x205, or visit www.uuum.org. Universal Hub and the Boston Archives occasionally team up to do a history quiz with an old photo. Yesterday's quiz was a tough one! It shows a horse drawn wagon with a very high cargo area "Storrowed" under an elevated railway. Plenty of people guessed that it was a location in Roxbury because of the puddingstone wall and the elevated rail tracks under construction. But what made this one particularly tough was that the building in back hasn't been there since the 1930s, when it was demolished to make room for the "new" Bartlett Yard bus garages. Judging by the unfinished elevated railway platform, this photo dates from about 1908. The small L-shaped building on the corner of Bartlett and Guild is the Bartlett Carhouse, seen in both photos. The spur of the elevated train ran to the elevated repair facility along Guild. That building in back - the old Bartlett Carhouse - can be better seen in this photo from about the same era. It was located right on the corner of Guild Street and Washington. In the lower photo, there is a clearly visible spur of the elevated railroad running behind the carhouse. That spur led to the repair facility which ran along Guild Street. That's why there is a huge puddingstone wall in Bartlett Yard - it had to support the weight of several elevated trains. The same location last year. Today all that's left is the jungle behind the chain link fence on Guild. In the not-too-distant future, there will be houses on both sides of Guild as that site is developed. Join the Roxbury Historical Society to learn about the archaeology of Roxbury’s Southwest Corridor! Archaeologists Beth Bower and Miles Shugar will present their work on these fascinating archaeological sites that were excavated in the 1970s before the construction of the Orange Line subway. Roxbury's long-gone orchards are well known in local history circles. The Roxbury Russet apple and Bartlett Pear both hail from our long-ago days as an agricultural community, and it's not uncommon to see a few Russets planted at historical sites. But until recently, people who aren't history buffs wouldn't have heard of these fruits or known that Roxbury was once known far and wide for its orchards. That seems to be changing. Across the country, grocery stores and restaurants now feature all sorts of artisanal and heirloom foods that would have been completely foreign to most eaters 20 years ago. So it's no surprise that the Roxbury Russet, in particular, is making something of a comeback. 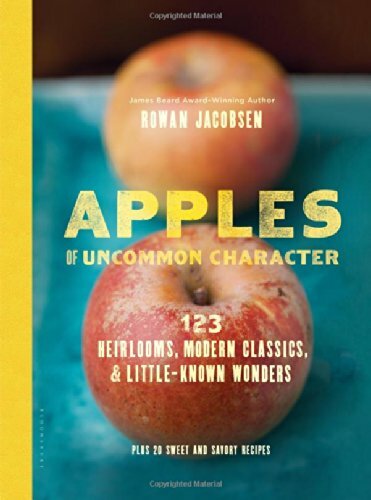 Fans of apple lore and Roxbury history will be pleased to see that this attention has put the apple in the news, propelled by the release of a new book titled "Apples of Uncommon Character." The book, which has led to stories in the Boston Globe and on WBUR, is getting positive reviews so far. I'm sure it will be a worthy addition to any local historian's bookshelf. With apple picking season upon us, now's a great time to go out pick a few Roxbury Russets of your own. There are a handful of trees around Roxbury, but most are privately owned or otherwise not suitable for public consumption. The nearest commercial orchard I could find that advertises the apple is Clarkdale Farm in Deerfield. The UMass Amherst Cold Spring Orchard also sells the Russet, which is available in the first half of October. Of course, most apple buffs also know that apples were prized less for their fruit than for their use to make hard cider. West County Cider in Colerain, MA, has been making some excellent single-apple varietals in recent years. Luckily for us, one of those is the Roxbury Russet. The cider can sometimes be found at Blanchard's in JP. If it's not their, they may be able to special order it for you. West County doesn't have much of a website, but they did make a pretty good YouTube video a couple of years ago that gives a good overview of cider production. If you've got a plot of land with some sun and you're hoping to grow apples, you're also in luck. A number of vendors sell Roxbury Russets, including Fedco, Stark Bros., Trees of Antiquity, Maple Valley, and Century Farm. Whether you prefer to read about apples, eat them raw, turn them into pies, or drink a glass of cider, it's great to see the Roxbury's history as an apple producing town getting some press. Happy fall! Last night, Historic Boston Inc. and a wide variety of supporters including Mayor Marty Walsh celebrated the completion of the renovations of the historic Alvah Kittredge House into 5 apartments. The $1.2 million renovation has brought the house's glorious exterior back and saved elements of the interior while tastefully updating and repurposing it. Congrats to HBI on a job well done, and welcome to the new residents who will soon be moving in! 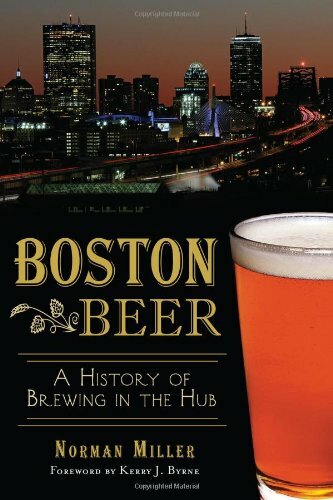 Fans of Roxbury history will want to add Boston Beer: A History of Brewing in the Hub to their bookshelves. I'm still waiting for my copy to arrive, but given the subject matter the book is sure to have lots of info on the string of breweries along the Stony Brook. WBUR did an interview with the author a couple of months back. Last week, the Globe ran a nice story on the history of the mile markers in Boston. Our neighborhood is fortunate enough to have two of these from the 1700's, the Parting Stone in Eliot Square and the 3-mile marker just down Centre across from Gardner. Most of these were installed by Paul Dudley, one of Roxbury's many famous Dudleys. The story also included this map showing the location of all the mile markers around Boston. If you've never taken the time to stop and visit the Parting Stone or Mile Marker 3, make sure you do next time you're walking around the neighborhood! Join the Roxbury Collaborative in celebrating Boston's role in freeing the American colonies from British Occupation. On the third Monday of April, begin your day with a buffet breakfast at the UU Urban Ministry/First Church in Roxbury at 8am. Historic speeches will follow and at 10am., you will be able to witness a re-enactment of William Dawes' horseback ride from Roxbury to Lexington and Concord. The William I Brown Memorial Scholarship will be presented to high school students who have demonstrated civic engagement in the community, and a local resident will receive an Unsung Hero Award. The day's events end with a free one hour trolley tour of Roxbury. Those not wishing to take the tour can instead enjoy open house visits to the Dillaway-Thomas House, the Shirley-Eustis House, and Eliot Burial Ground. and other friends and supporters of the Roxbury Collaborative. As I mentioned in a previous post, DCR will be putting $2 million into the Dillaway-Thomas House and surrounding Roxbury Heritage State Park in a fast-track construction project this year. There's a public meeting to discuss this next Monday - this is your chance to provide input on what types of amenities you'd like to see in this park and find out more about the project. At this meeting, the public will have an opportunity to provide input into the development of a vision for the future of the Roxbury Heritage State Park, by identifying project goals for the Roxbury Heritage State Park Signature Park Project. These will include desirable improvements to, and activities at, the Dillaway-Thomas House and Roxbury Heritage State Park, as well as what and whose stories to commemorate through exhibits. It's Evacuation Day, which means that once again we're celebrating Fort Hill's role in helping to boot the British out of Boston. Universal Hub was the first to publish this great pic from the BPL Flickr page showing the fortifications at Dorchester Heights. This is where the cannons that Henry Knox, after designing the fort that gives Fort Hill its name, ended up after he lugged them all the way down from Fort Ticonderoga (including bringing them right through Eliot Square). Oh, and happy St. Patrick's Day, too. Even if it doesn’t feel like it from our subarctic temperatures, it’s March! That means Evacuation Day, which celebrates the day we drove the British out of Boston and our neighborhood’s crucial role in that event. As happens every year, there will be events around Roxbury to commemorate the occasion, including a visit by State Rep. Gloria Fox and some Minutemen reenactors to the top of Fort Hill at 11AM on Monday, March 17th. Here are all the details, from the press release. Raise a glass of porter or cider to George Washington and Henry Knox to celebrate! BOSTON, MA: State Representatives Gloria Fox, Nick Collins, The Shirley-Eustis House, The National Park Service, The Lexington Minutemen and the Evacuation Day Heritage Committee cordially invite you to the celebration of Evacuation Day, Monday, March 17, 2014. The ceremonies begin at 9 a.m. with the annual Evacuation Day Mass at St. Augustine’s Chapel, the oldest Catholic Church in the Boston Archdiocese. At the conclusion of the Mass, we will proceed to Dorchester Heights, where General Washington placed artillery in 1776 to force the British out of Boston. The annual Historical Exercises at Dorchester Heights will begin at 10 a.m., featuring the Lexington Minutemen, the South Allied War Veterans Council„ the children’s choir from the South Boston Catholic Academy, the Allied War Veterans, and the Major General Henry Knox Lodge of Freemasons. The commemorative exercises with the South Boston Allied War Veterans Council will include remarks by elected officials and award-winning author, Nathaniel Philbrick as well as Boston National Historical Park Deputy Superintendent Rose Fennell. The Allied War Veterans will lay a wreath to honor the men and women of South Boston in the armed forces, and the Minutemen will fire a salute. The National Park Service rangers and volunteers at Dorchester Heights will be available to provide information about General George Washington’s arrival in Massachusetts in July 1775; the transportation of cannons by Henry Knox from Fort Ticonderoga, New York, to Massachusetts; and the construction of the Dorchester Heights fortifications. After the exercises take place at Dorchester Heights, the Boston National Historical Park rangers will conduct a hands-on archaeology program from 11 a.m. to 12 noon, where visitors can dig through two boxes of material to simulate the work that was done on the site in the 1990’s when a 200-foot-wide star-shaped earthwork was uncovered. There also will be ranger talks about the historical significance of the site and information about the replica British 18-pounder (shot weight) cannon of the Armstrong-Frederick pattern of 1760 which eventually will be displayed at Dorchester Heights. State Representative Gloria Fox will host the Historical Exercises at Fort Hill, in Highland Park, Roxbury, beginning at 11 a.m, with ceremonies by the Minutemen and local elected officials. This fortification, designed by Henry Knox, prevented the British from breaking out of Boston during the siege. Washington was so impressed with Knox’s ability at designing and constructing this fort, he put Knox in charge of American artillery. These two fortifications, at Roxbury and South Boston, were crucial to the first American victory in the War for Independence. State Representative Gloria Fox will then host a free luncheon at the Shirley Eustis House, 33 Shirley Street, Roxbury, immediately following the Historical Exercises at Fort Hill. The Lexington Minutemen will fire a salute, and Major General Knox himself will make an appearance. Following the luncheon at the Shirley-Eustis House, author Nathaniel Philbrick will give a short talk on his latest book, “Bunker Hill.” Copies will be available for purchase and signing. For more information, please contact the Shirley-Eustis House at 617-442-2275 or email governorshirley@gmail.com. Here's a piece of good news. Mass DCR will be putting $2 million into the Dillaway-Thomas House and the surrounding state park to finally complete the vision originally laid out for the park decades ago. Here's a link with more info. Briefly, the project will restore the property, add exhibits and an archaeology lab, and restore the landscaping and grounds of the park to promote public use. There will be a public meeting announced soon, and the project is fast-tracked with an expected completion date of December this year. The state park master plan was set out in 1987 but the recession in the early 1990s stopped the work and the full vision has never been completed. This is a major step forward in the long and storied history of the house. Combined with the recent upgrades to Highland Park, the upgrades to Kittredge Square Park, and the renovation of the Kittredge House, Highland Street is booming from one end to the other! I covered the basics of Fort Hill's black history in a post for Black History Month 2 years ago. But of course, there's much more to the black history of Fort Hill than I could ever fit in a single post. What better way to learn about black history than to celebrate one of our neighborhood's most prominent black historians, Henry Hampton of Blackside Media? Mr. Hampton, although born in St. Louis, lived much of his adult life at the sprawling compound on Lambert Street now occupied by Garden Girl Patti Moreno and her husband Robert Patton Spruill. With Blackside, he became one of the nation's top minority documentary film-makers. His groundbreaking Eyes on the Prize documentary series is the definitive history of the Civil Rights movement. If you haven't seen it, you owe it to yourself to pick up a copy of the series on DVD. Besides Eyes on the Prize, he was also the producer of many other critically acclaimed documentaries including Malcolm X: Make it Plain. For his work, he was awarded 14 honorary degrees, including one from Northeastern. He was also the recipient of dozens of awards, not least of which were 7 Emmys, an Oscar nomination, the Heinz Award, and many others. And as if that wasn't enough, he was the Chair of the Board at the Museum of Afro-American History and served on the board of several other charitable organizations. This black history month, why not tie in a Fort Hill connection by learning about black history through one Mr. Hampton's many documentaries? You can start for free by watching Make it Plain on YouTube, or get yourself a copy of Eyes on the Prize from PBS. One of the themes of this blog is that the only constant is change. Our tiny neighborhood is in many ways a microcosm of the country as a whole. The events that shaped America are writ small in Fort Hill, and those who take the time to look are rewarded with stories that help explain not just the layout of our streets, but also the layout of our nation. Consider the story of the once-mighty Roxbury Chemical and Color Manufacturing Works Company, often abbreviated to the Roxbury Color Works. Founded in 1826 along the Stony Brook in roughly the area where the New England Baptist Hospital's employee parking lot and the Boston DPW yard now sit, the Color Works was an early industrial enterprise at a time when the idea of the industrial revolution was just starting to take hold of this young country. A description of the Roxbury Color Works' businesses in the American Journal of Science, 1830. At the time, the area was farmland. Boston's early rail service to Dedham along the Stony Brook was not yet conceived, and the original five investors who laid out Highland Street and developed the bulk of Fort Hill were just getting started. If you needed to build a chemical factory, you would want access to water and transportation, but you would also want to be some distance from the neighbors so as not to disturb them with noise and pollution. The location was perfect, well situated on the Stony Brook for water, at the crossroads of the major road between Boston and Dedham, not too far from Roxbury's population centers to be inconvenient but far enough away not to disturb anyone. The business, run by one A. A. Hayes, appears to have prospered. It probably didn't hurt that a few years after opening, the Boston and Providence railroad laid tracks right past the front door, with a stop conveniently located just a few hundred yards away at Roxbury Crossing. The Roxbury Chemical Works and its neighbors in 1832. The Chemical and Color works would have served many other industries in the nascent industrial age. Chemicals and dyes, then as now, were an important part of the manufacturing process of just about everything: acids for steel production, dyes for shoes and clothing, cleaning agents, and much more. Given the huge boom in industrialism in the following years, it's a safe bet that the facility was a crucial part of Boston's - and Massachusetts' - growth as an early industrial powerhouse. With the introduction of the railroad and the massive population growth of Roxbury in the decades that followed, the area soon changed. The first new neighbors, shown on the 1832 map, were Roxbury's poor, moved to the "new Almshouse" next to the new industry, freeing up more valuable real estate closer to Eliot Square. Today, warehousing the poor next to a polluting industry would run afoul of the environmental justice movement and the regulations that accompany it. But 180 years ago, no such protections existed. An ad in the New England Farmer, 1832. The poor weren't alone, though. At a time of extremely limited mobility, the new railroad and the omnibus system that connected Roxbury to Boston opened up Roxbury to become one of America's first suburbs. Soon, the farms were bought and subdivided into luxurious estates where men of means built mansions and country gardens. The first gentrification of Roxbury had begun! Some of the biggest names in Roxbury built their homes on Fort Hill and Mission Hill. The most prominent were probably the Lowell family - yes those Lowells, including houses belonging to J.A. Lowell and "The Misses Lowell" on the family's Norfolk farm just across the Stony Brook from the factory. But there were some other big names nearby, including Supply Clapp Thwing just up Highland Street. McIntyre's 1852 map does us the pleasure not only of showing us the site of the factory and its proximity of the neighbors, but also of giving us a sketch of the facility. The facility was important enough to be highlighted with a border sketch in McIntyre's 1852 map of Roxbury, lower left corner. At about the same time that McIntyre was producing his map, a curious thing happened. The facility was featured on the back page of the Saturday, May 14th, 1853, issue of Gleason's Pictorial, an early magazine. Meanwhile, a cousin of that magazine, Ballou's Pictorial and Drawing Room Companion, had a center spread on the "Highland Villas" that had sprung up nearby in recent years. Both magazines extolled the virtues of their respective subjects. And while gushing over the mansions of the rich is neither new nor surprising, in retrospect the treatment given to the Color Works seems a little suspicious. "he atmosphere of the buildings, so far from being deleterious to health, is considered by those engaged in the works as highly beneficial, no one having died of any lung complaint who has worked there for a length of time, and the place is visited by some invalids for benefit in lung complaints, instead of taking a sea voyage, for the atmosphere in one of the buildings is similar to to that at sea. A visit to the works will richly repay one for the trouble. While I'm sure that Gleason was richly repaid for the trouble of writing such a lovely report, it doesn't seem to have convinced the neighbors. The inside of the buildings might have been redolent with the scent of sea air, but the building's mighty 210' tall chimney apparently was doing a lousy job of dispersing the stench of chemical manufacturing. Doubtless they had been complaining for quite some time before this article came out, and eventually their complaints came to a head. On March 24, 1856, two separate petitions, each with over 50 signatures, were submitted to the City government seeking the abatement of the "nuisance" of the operations of the Roxbury Color and Chemical Company. City government apparently worked more efficiently in those days, and a scant month later, on April 28, 1856, a special committee had completed its investigation of the matter. The special committee published a report that, in slightly less than 5 pages, weighed the merits of the two sides. The report found that, while the company had indeed been built at an earlier time when there were few neighbors to offend, and that while the company had made efforts over the years to abate the odors coming from the facility, the new neighbors were right. The place was indeed a "nuisance," and the authors even italicized the word to emphasize it. The committee then took a highly unusual step. They ordered that the facility be shut down, under the powers granted to them by an act passed just months before in 1855, that allowed Boards of Health in Massachusetts to close businesses that emitted noxious odors. More than a century and a half later, this battle is still being repeated across the country. Corporations, in spite of being huge employers and big taxpayers, still find themselves pitted against their neighbors, who want to live a healthy, quiet life. In many places, the industries have largely disappeared, lured to foreign countries by a variety of factors that includes not just cheaper labor but also less environmental regulation. And while we lament the loss of the jobs and income that accompanied these industries, very few people miss being subjected to acidic fumes so bad that they damaged nearby vegetation and caused chronic coughs. The only later record of the Roxbury Color and Chemical Works I can find online comes from a one-line description of the handwritten papers of Ellis Gray Loring, an abolitionist lawyer active in Boston: "Roxbury Color and Chemical Manufactory. Insolvency proceedings. October, 1859." The 1873 Ward Map tells the story in terms just as stark. The buildings are gone, the land sold, and all that remains is the old chimney. I like the story of the Roxbury Color and Chemical Works for many reasons, but none more so than the way it tells the story of America - our transition from farmland to industry, our waves of immigration, our budding environmentalist movement, the tension between jobs and health, the further tension between old and new residents. And in its own small way, the story of the Color and Chemical Works informs us about the tensions that still shape the neighborhood today. Over the holidays I picked up a copy of Boston’s Orange Line, another in the series of local history books that Arcadia Publishing has been issuing for the last decade or so. This one is a collection of photographs detailing the history of our neighborhood’s train line from its earliest days, including a long-forgotten spur through downtown along Atlantic Avenue. From its early days as the Main Line Elevated running from Sullivan Square to Dudley to its current incarnation, the authors (a Globe reporter and UMass Boston archivist) have done a fantastic job of detailing the line’s history. This one belongs on every Roxbury historian’s shelf. The story of the Orange Line is the story of Boston: always in flux but trailed by its long history. Since 1901, this rail line’s configuration has evolved in response to changes in the city, society, and technology. Hazardous sections have been eliminated, ownership has transitioned from private to public, and the line has been rerouted to serve growing suburbs and to use land cleared for the failed Inner Belt. Both its northern terminus, which shifted from Everett to Malden, and the southern route, realigned from Washington Street to the Southwest Corridor, have seen dramatic transformations that have in turn changed riders’ lives. Today, the line’s 10 miles of track curve through many Greater Boston communities, serving thousands along the way. The authors Jeremy C. Fox and Andrew Elder are JP residents and will have copies of the book for sale. Sponsored by the Jamaica Plain Historical Society. Free and open to the public. Refreshments will be served (but cash bar). Happy new year! As we enter 2014, I hope to get back on track with the blog. I’ve got a stockpile of great stories to dig into. But first, I quickly want to share one of my eBay finds. Late at night when I should be in bed, I often find myself scrolling through the listings on eBay for old Roxbury historical memorabilia. Sometimes I buy an item, but there’s simply too much available to get everything I want. There’s a treasure trove of old letters, bottles, business cards, match book covers, postcards, and photos. Especially photos. What makes the photos even more interesting is that many of them are old news photos from the archives of newspapers all over the country that were purchased in bulk by several collectors and are now being auctioned off one at a time. On any given day, there might be as many as 25 or 30 press photos. These photos, stretching from the 1920s to the 1990s, document all of the changes that befell Roxbury, and since they are press photos there are lots of images of newsworthy events like murders, floods, fires, and the occasional photo op by visiting dignitaries. So here is one of the those finds, a reference to a long-forgotten mystery. It seems that back in the spring of 1926 someone at the Hotel Eliot found an old cheese box full of human bones. The back of the photo dryly notes that police suspected foul play. Considering that whoever put the skeleton in the cheese box had to dissect the body and saw the bones, that doesn’t seem like too much of a stretch. Unfortunately, despite the existence of a news photo it’s not always easy to pick up the story. My search of the Glove archives from around this date didn’t turn anything up, nor did my search of the Google news archive. We may never know if the police figured out what happened, but I’ll keep an eye out for news clippings just the same. Here’s to solving more of Roxbury’s historical mysteries in 2013. Happy new year!